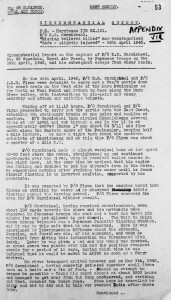 Hidden among the archives in the ORBs of No.28 Squadron is this “Circumstantial report” on the loss of Hurricane II.B BX131 of No.28 Squadron RAF on 26th April 1943, operating in the Mayu Peninsula in Burma. 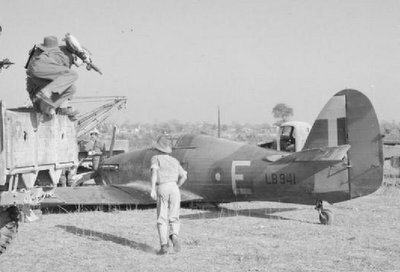 The aircraft was ditched in a river after being hit by small arms fire, and the Pilot, Pilot Officer H R Carmichael miraculously survived after being thrown out and rendered unconcious. Injured and taken captive by a Japanese Army Unit, Carmichael found the opportunity to slip away on May 5th and after a three day trek, arrived in Allied lines after three days. 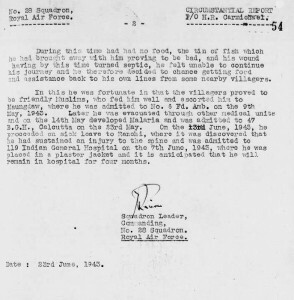 His entire escapade as well as his subsequent hospitalisation is told in the two page report that can be found in the National Archives. For his escape, Carmichael was later awarded the Military Cross. His flying career was over and he didnt return to operational flying. 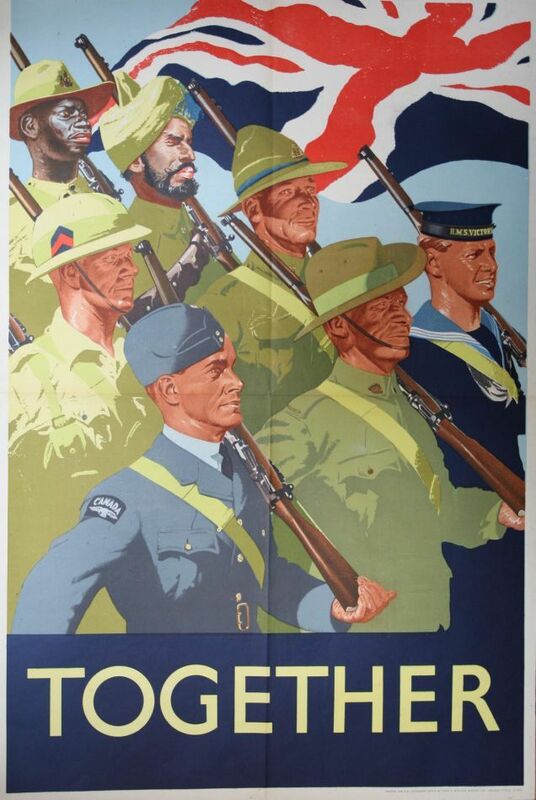 It so happens that Carmichael was an Army Officer seconded to the RAF . And he went on to have a long career in the Ordnance Corps and retired as a Lt Colonel. After his passing away in 1995 his papers were presented to the Lidell Hart Military Collection at the Kings College in London. Born in 1914; unattached 2nd Lt, 1936; appointed to 17 Dogra Regt, Indian Army, 1937; served in Waziristan, 1937; Lt, 1938; seconded to RAF, 1941-1944; captured by the Japanese Army in Burma, 26 Apr 1943, but escaped 10 days later; Capt, 1944; Maj, Royal Army Ordnance Corps, 1948; Lt Col, 1951; Deputy Commander, 5 Base Ordnance Depot, Middle East Land Forces, 1954-1955; Assistant Director of Ordnance Services, HQ, Eastern Command, 1957; retired, 1969; died in 1995. Why is this find such a discovery? 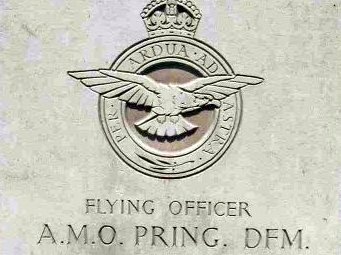 ..latter cost 28 Squadron a pilot on 26 April, Pilot Officer H R Carmichael and Pilot Officer J L R Flynn carried out a Tac/R Sortie down to Donbiak and Fould Point. 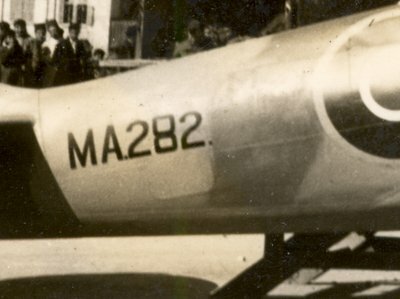 While circling Magychaung, Carmichael was hit by light groudn fire, and Flynn watched as his partner crashed into the Mayu river. He survived and was injured. 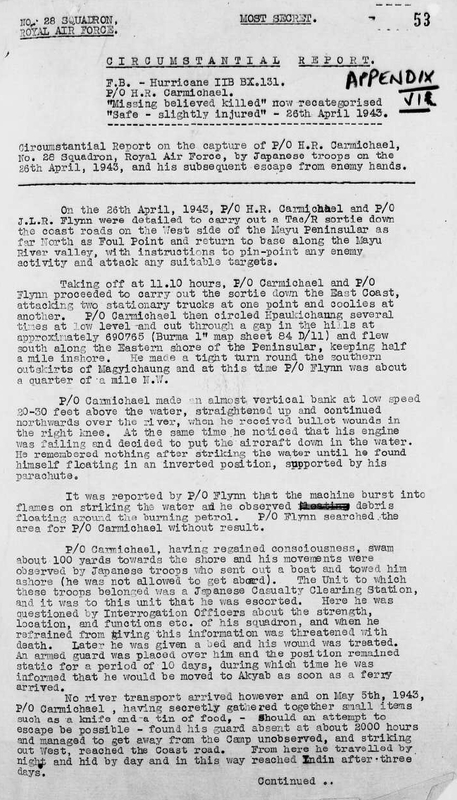 Shore’s recollection is even sparse and just mentions that Pilot Officer H R Carmichael was “shot down and injured” on this day. Just goes on to prove that even the best books on the topic do not tell the complete story.. and there are many such tales that need to be discovered and told!